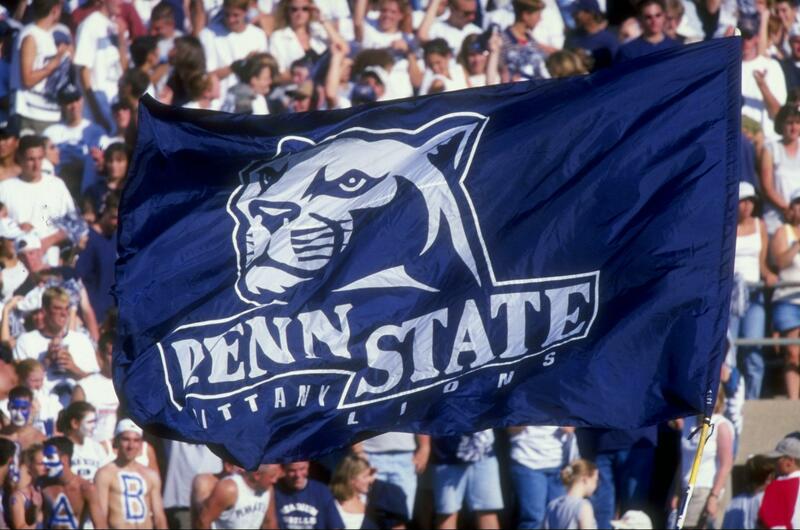 Penn State University on Thursday permanently banned a fraternity where a pledge was fatally injured last month and announced additional steps to curb underage drinking throughout the university system. The university revoked its recognition of the school’s chapter of Beta Theta Pi after it said an investigation found “a persistent pattern” of excessive and forced drinking, hazing and drug use and sales. The university said staff, student leaders and others will take part in a new program to monitor compliance with the underage drinking ban, and that fraternity and sorority recruiting will be moved from fall to the spring. It also warned that it may have to completely ban alcohol at frats and sororities. The school will no longer “tolerate what has been, for them, business as usual” within the Greek-letter system, said Damon Sims, the university’s vice president for student affairs. Mike Leahey, a Pittsburgh lawyer for the Beta Theta Pi chapter, said it was “extremely disappointed” in what he called a rush to judgment. He said the fraternity will fight the decision. “Despite repeated requests, we are outraged that the alumni board has never been given an opportunity to have access to any of the evidence that led to the allegations leveled by the university,” he said in an email. More than 47,000 students attend the main campus in State College, and more than 7,000 belong to the Greek letter organizations, which include 53 fraternities, 29 sororities and three coed organizations. The fraternities are private organizations and their chapter houses are on private property, not on campus grounds. Sims said Beta Theta Pi “ostensibly was among the best fraternity chapters” at the university. “And yet, we know based on our investigation that it went off the rails,” he said, culminating in the death last month of 19-year-old sophomore engineering student Timothy Piazza of Lebanon, New Jersey. State College Police have said Piazza was among about a dozen pledges attending a pledge acceptance ceremony when he fell down a set of stairs. Help was not summoned until the next day, and he subsequently died at a hospital. Police have said hazing and excessive drinking may have contributed to his death, and an investigation continues. Lawyers for the Penn State chapter of Beta Theta Pi went to court March 17, trying to force State College Police to return to it DVR drives and digital content the fraternity handed over voluntarily to investigators looking into Piazza’s death. Leahey declined comment on that matter. Police and prosecutors did not return phone messages Thursday. Beta Theta Pi had already been shuttered by the school for at least five years; now it is prohibited from ever reopening. The university last month announced a ban on alcohol at fraternity-related social events on the main campus for the rest of spring semester. Penn State is also banning beer kegs at fraternity events and daylong parties, and limiting attendance at any fraternity parties to the legal capacity of the chapter houses, generally in the 150-200 people range. It’s unclear what will happen to the fraternity’s empty chapter house. Donald Abbey, a California real estate tycoon and alumnus of the chapter, sued the fraternity earlier this month, seeking more than $10 million he said he loaned it to renovate the property and shore up its finances. That lawsuit is pending, and Leahey declined comment. In 2011, a year after the university trustees were briefed on a comprehensive plan to combat alcohol abuse at Penn State, a judge sentenced the Alpha Tau Omega chapter to 70 days of community service for the death of Joe Dado, an 18-year-old who fell down a stairwell after a night of drinking. The judge ruled the fraternity was responsible for giving him alcohol hours before his 2009 death. Two years ago, Penn State concluded that some members of Kappa Delta Rho engaged in sexual harassment and hazing that included a “persistent climate of humiliation” for women. The national office expelled 38 members from the fraternity, and the school announced it would not recognize it until 2018.